At the recently concluded CES trade show, Panasonic announced world’s first HDR capable 4K TV which supports professional grade image processing. HEXA Chroma Drive technology employs state-of-art image processing algorithms that uses 6 color reproduction instead of 3 used in other contemporary TVs. Besides three primary color axes (RGB) it compliments set of other three colors—CMY so images appear naturally vivid and beautiful. This is a high end technology for advanced color pallet from Panasonic and usually available in UHD TVs from Panasonic. This technology compares with Triluminous display from Sony, Quantum Dots from Samsung and OLEDs from LG. Panasonic uses unique honeycomb structure panel for local dimming to produce smooth and deep black gradation levels for immersive viewing experience. This ensures images won’t be washed out in high and low brightness areas even if input signal exceeds the screen’s maximum brightness level. Super Bright Plus technology provides more brightness in the pictures by putting efficient LED lights behind perfectly transmissive IPS panel. This makes pictures look crispier and dynamic even from a wide viewing angle. IPS panels also add to the durability of Panasonic Televisions. High Dynamic Range or HDR, as it is best known, simply means more dynamic contrast, better brightness and a wider color palette that brings your TV viewing experience to a more life-like one. So, the whites are brighter, blacks are darker and other colors more natural. 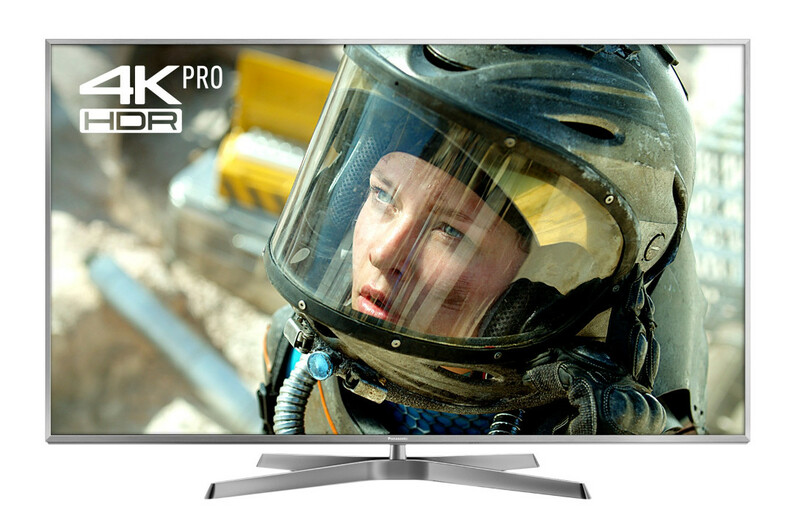 HDR enhances image quality and details that are usually lost in translation in older TVs with standard display models. Panasonic flaunts its HDR tech as HDR Premium which they claim is more brighter and more real. HDR Premium draws its working operation from the way our eyes perceive an image and adjusts the way it perceives, in order to match the given environment; which generally possesses an extremely wide brightness range. HDR content is recorded using a Perceptual Quantiser curve which is based on this characteristic of human sight. This implies, colours would appear with enhanced vibrancy and subtlety, so viewers can clearly distinguish the tonal differences between extremely bright sunlight and the white walls of a tower. In other words, HDR finally lets you see on a TV screen the complete beauty of the real world as experienced by your eyes every day. Furthermore, it’s able to give out the full DCI colour space that’s a critical part of high dynamic range images. Though 4K segment is catching up demands but presently there aren’t many sources which supports 4K meaning underusing the potential of 4K TV to run something of lesser resolution say Full HD or HD. Also, when showing content with lower resolution on 4K TV needs upscaling so that the aired picture doesn’t look grainy and pixelated. To cope up this problem, the Japanese engineers and other techies at Panasonic have worked hard to deliver super resolution using its new and efficient engine, which they love to call as 4K Fine Remaster Engine. It has employed example-based resolution technology which easily copes with various sources, which includes Full-HD, SD images, online movies, and others. It’s interesting to note that development of this engine began even before 4K panel was decided; hinting how much committed and concerned Panasonic was to deliver super resolution engine in its 4K TVs. Panasonic believes with the addition of this powerful engine watching anything ranging from action-packed science-fiction movies to beautiful stills of buildings and serene landscapes would be an immersive experience. Panasonic wants to ensure the efforts it has put in to improve the picture are reciprocated by the acoustics department as well. That’s why it has used the services of Technics, which also happens to be its subsidiary, to make sure Panasonic TVs don’t fall behind its competitors in the sound segment. The result is development of Dynamic Blade Speaker—a deceitfully slim audio system. Defying the expectation from its slim-trim size, it gives strong bass so dynamic content can be enjoyed, thanks to its assembly of 14 speaker units. Speaker units contain eight woofers, four squawkers and two tweeters. Besides this, there is also a quad passive radiator specialty added to spice up the bass. Panasonic uses new and improved my Homescreen 2.0 in its premium Vierra class televisions. My Homescreen 2.0 is Firefox-based operating system which have a complete overhaul over its predecessor, back then simple known as Firefox OS. My Homescreen 2.0 is one of the neat and easily customizable smart TV OS around. New intuitive interface boasts of couple of features in the form of various ‘Decks’. The Live TV Deck allows viewers to catch the live action of TV programs. The Apps Deck consist of useful apps on Firefox’s marketplace, where users can download apps according to their needs. Similarly, there is Devices Deck which allows you to connect gamut of communication-capable devices like smartphones, tablets, Blu ray players, SD card etc to the television either using cable or WiFi. To make it easier to scour for stuff, a new search tool is provided in the new OS wherein users can access content from all the available sources, which includes internet videos, websites or even external devices (provided they are connected to the TV). To add to this, new interface gives the option to add bookmark to the favourite channels, apps, webpages and connected device by using the Pin function. Also, few models of Vierra features Touch Pen which allows the users to draw pictures and play games. This could also come handy to scribble handwritten notes for future reference or usage. Panasonic has time and again strived for the ultimate in design owing to their concept of “Harmony with Room”. The premium EX series models of Panasonic have a distinctive ‘Swivel and Lift’ design, which does exactly as its name suggests; display appears to float in the air with its stylish pedestal. This design highlights the screen, to put emphasis on the picture being aired. The floating effect generated due to this design also gives an impression of lightness and grandiosity. Panasonic offers a good blend of picture quality with peppy sound at an attractive price range. Though its easily undone by LG in terms of picture quality, as LG is forerunner of OLED tech and it’s the supplier of OLED panels. But due OLED’s self-emissive display characteristics, LG OLEDs do tend to either render the shades just above black with more noise giving it a slightly magenta tinge. To add to this misery, at times, it also blurs the shadow detail however minor it might be. This is an area where Panasonic aims to tackle, using the power of its HCX2 processor, by drawing upon its know-how and experience with plasma to compensate for the relatively large jump between OLED’s off (zero black) and on (above black) states smoothly without a sudden jerk. Though Panasonic has done decent job in sound segment, thanks to the hard work of its acoustic arm Technics, but still has some way to go to catch up with Dolby sound system. Dolby also beats Panasonic TVs in HDR segment with its proprietary Dolby Vision tech; Panasonic uses an open source (a free) HDR10 version. But with the promise of addition of Hybrid Log Gamma, a new class in HDR, it could give a stiff competition. 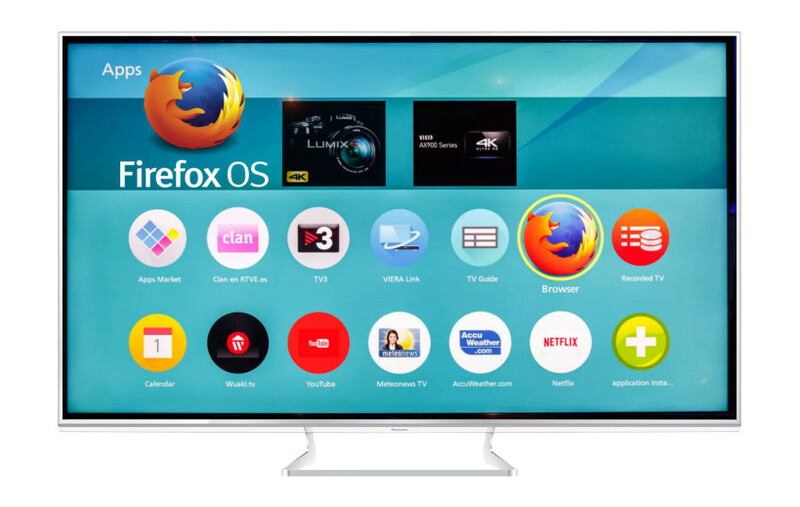 On software front, Panasonic uses Firefox OS which is going to get obsolete in future for Mozilla has announce its withdrawal from this segment. Also this OS isn’t as powerful as webOS nor as versatile as Android. Design is the parameter on which Panasonic can bet on; Panasonic TVs are innovatively design giving it a premium look. Their latest Swivel and Lift design is the testimony of that. Panasonic was one of the premier brands, but in the last few years with entry of new players, there have been a trend reversal. Panasonic has been dropped out of top 5 companies by sales. That’s the reason Panasonic is striving hard to win back its customer base by offering better TV by collaborating with specialist and applying for various certifications to present unbiased testimony of its product to its customers.